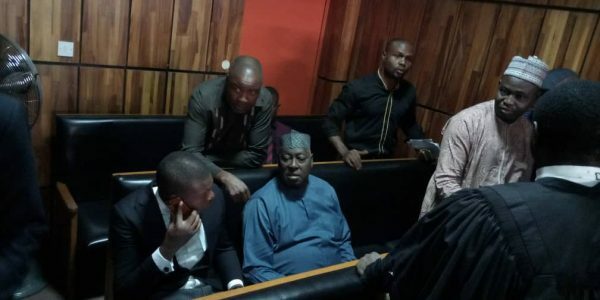 The immediate-past Secretary to the Government of the Federation (SGF), Babachir Lawal has arrived in court for his arraignment on alleged conspiracy and fraud, Daily Trust reports. He arrived in company of operatives of the Economic and Financial Crimes Commission (EFCC). It was reported that the former SGF was arrested yesterday by the anti-graft agency. Two senior advocates have already been sighted inside the court. One of them, Chief Akin Olujinmi (SAN), a former Attorney General of the Federation (AGF) and Minister of Justice, is expected to lead the defense team. The EFCC had filed a 10-count charge bothering on conspiracy and fraud against him and Hamidu David Lawal, Suleiman Abubakar and two companies, Rholavision Engineering Ltd and Josmon Technologies Ltd. The post Breaking: Ex-SGF Babachir Lawal Arrives Court for Arraignment, Pleads Not Guilty appeared first on LATEST NIGERIAN NEWS BREAKING HEADLINES NEWSPAPERS.